If you keep up with YouTube or blogs then you've probably heard about Brandy Melville. It seems like everyone is styling Brandy Melville pieces and speaking about how affordable their stylish clothes are. Well I decided to check out their website to see if I could find anything cute, but instead of finding something I would buy the website just infuriated me. Brandy Melville claims that their clothes is "one size fits all," but is it really? I don't consider myself fat but I'm aware that I'm about 15 pounds overweight for my height. I am very familiar with weight issues because I struggled with my weight for the majority of my adolescence. When you're about 50 pounds overweight and weighing in at around 200 pounds as a teen, things are certainly not easy in the body image and self-esteem departments. I was not one to cave into peer pressure or get too upset about being called "fat" by my peers because I was my worst enemy. I can recall how tough it was to shop when I was a teenager and all the drastic diets I tried. Tops would sometimes fit very tight across the chest, I had to buy special bras, and don't even get me started on jeans. Even if I managed to find a pair of stretchy size 10 or 11 jeans that I liked, most often than not the jeans would not fit me. They would either fit very tight in my thigh area or not even go past my calf. So as someone who has had weight issues in the past you can imagine how upset I was when I saw that the only size available was "one size fits all." Most recently Abercrombie & Fitch was in the headlines because of the despicable things that CEO Mike Jeffries said about fat people. Brand exclusivity is nothing new, in fact its a business strategy that is used by luxury brands like Louis Vuitton and Saint Laurent, to consumer friendly brands like Abercrombie & Fitch. Brand exclusivity allows the company to retain a certain image and allure. Just like Abercrombie & Fitch would like the "cool kids" in high school to wear their clothing, other companies go out for a specific audience. What went wrong with Abercrombie & Fitch was that CEO Mike Jeffries comments crossed the moral line when addressing the issue. Unlike Abercrombie & Fitch who carry sizes XS-L, Brandy Melville only carries one size. This leads to the question, does "one size fits all" really fit all? Let's be completely honest and stop pretending there's such as thing as "one size fits all" clothing. Accessories, handbags, and scarfs are "one size fits all" items but clothing cannot be put into such category. Women come in all different shapes and sizes, and claiming that the same item is going to fit both a size 0 girl and a size 14 girl is absolutely insane. From a business aspect I understand why they wouldn't want to make different sizes because it would cost the company more to make different sizes. This practice is more accepted when it's an haute couture dress but these are regular clothes we're talking about! Regular sheer loose tops with prints that are not innovative in the least bit, cardigans, and maxi skirts. The clothes are affordable which means that the cost of production would not be nearly as high as a luxury brand. Then why lie to the consumers like that? I would be a lot less infuriated if Brandy Melville was honest about who they're trying to market to. If the clothes fit XS and S and your target audience are girls who have a slim figure then own up to that, instead of claiming that your clothes fit everyone because they don't. It's that plain and simple. Stop lying to yourself and to the consumers! I wear a size M and the fact that I can't fit into a lot of the "one size fits all" items is just ridiculous. What is the message that "one size fits all" is trying to send? If I don't fit into "one size fits all" does that make me fat? Obese? And it's not just Brandy Melville following the lazy business strategy of "one size fits all" clothing, it seems online boutiques are also guilty of alienating the majority of women. If they think they can sustain a business by pretending that their clothing fits everyone, then let them be ignorant but as a consumer don't fall for their pitiful business strategies. How does "one size fits all" make their brand exclusive? Wouldn't just labeling their sizes XS and S make their brand more exclusive? To make things worse, there are other business practices that bring the company down. If you take a look at some of the reviews from the Brandy Melville store in San Diego you'll see that there are a lot of 1-star reviews. I've heard everything from people getting kicked out the store before the store is closed, to packages being mailed to the incorrect addresses and Brandy Melville not doing anything about it. Then there was that incident where Brandy Melville tried to sue a YouTuber for making a video talking about her experience at a Brandy Melville location. Basically an employee told her that she could not try on a top because she would "stretch it up." Is this how the company tries to retain their exclusivity? By letting people go into their store to try on an item that is labeled as "one size fits all" but then having an employee tell the consumer that you might stretch out their clothing? For a list of their bad customer service and practices (that do not relate to their sizing) I'm going to redirect you to this video. For me it doesn't make sense to shop with a company that treats customers and women who don't fit into their clothing poorly. I will not support a Brandy Melville or any company that discriminates the majority of women. The last thing women need is another company creating low self-esteem and body image issues. Phew! That took a while to write but I was just very upset. I'll try to refrain from these negative posts in my blog but when I see a company cross the line, then I'll write a post about it to help spread the word. I want create a discussion because I think issues like these should be something that women should talk about. 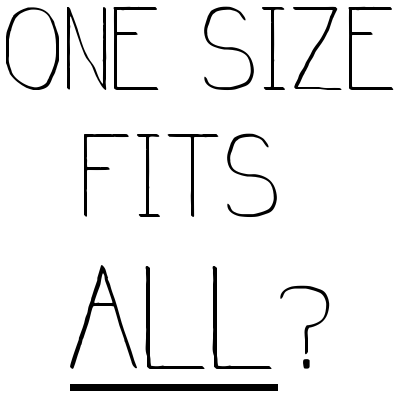 What do you think about the "one size fits all" practice or companies like Brandy Melville? 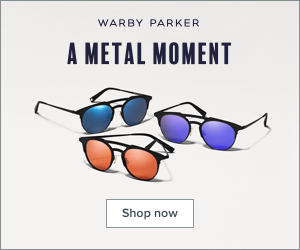 Are you a Brandy Melville customer? Let me know in the comments below.